Volkswagen is working on a new generation of its Polo subcompact, which like its predecessor will spawn an Audi-badged version dubbed the A1. Although the idea of a premium subcompact may seem strange here, they’re all the rage in Europe where fuel prices are higher and cities more congested. These requirements warrant the development of a new A1, even though margins may be thin. The current A1 made its debut in 2010 and received a mid-cycle update in 2014. This means the successor should roll in around 2018. It will ride on the smallest version of the Volkswagen Group’s MQB platform, found in Audi’s A3 and a few other models from the German automaker. 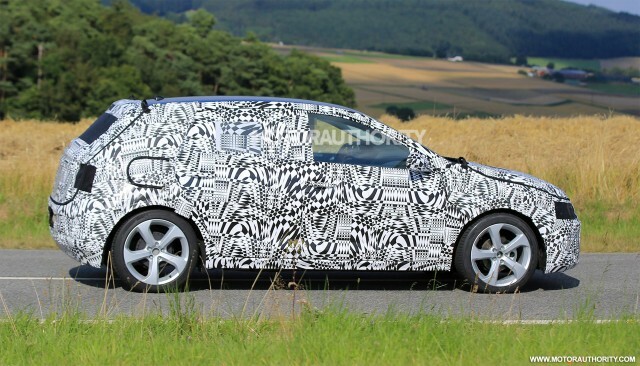 Adopting the MQB platform will mean a slightly bigger footprint, as evidenced by prototypes for the new VW Polo (shown below), though lightweight construction should ensure weight remains the same or even reduced. According to Auto Express, the new A1 will have a wheelbase of 100.8 inches. That’s about 3.5 in longer than on the current A1 and should lead to more interior space. The British publication reports that the new A1 will also get a sharper look influenced by the design of Audi’s next-generation models like the upcoming A7 and A8. The bubble shape of the current A1 should be retained, though. Inside will be the latest tech including, as an option, Audi’s 12.3-in digital instrument cluster. Powertrains will include 3- and 4-cylinder units, with the most potent version being an S1 possibly eclipsing the 231 horsepower of the current S1. An even more potent RS 1 from Audi Sport is unlikely. Instead, we’re more likely to see an electrified model, possibly even a pure electric offering rivaling the BMW i3 and Smart ForTwo Electric Drive. Recall, the VW Group is planning the launch of 30 electric cars by 2025 and many of these are expected to come from Audi. Sadly, there’s little chance of the new A1 ending up in the United States as Audi has ruled out launching anything lower than the A3 here.